This chapter focuses on the school act General School Ordinance (Allgemeine Schulordnung) enacted by Austrian Empress Maria Theresa in 1774 and formulated by Johann Ignaz Felbiger. The main objective is to contextualize the school act with respect to the politics and institutional reforms of the Habsburg Monarchy in the eighteenth century. That period, characterized by enlightened absolutism, fostered a public sphere by creating bureaucratic structures and by defining new areas of public interest, including the school system, that Maria Theresa emphatically declared a matter of political concern. 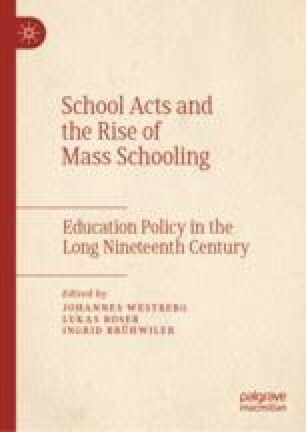 From this perspective, schooling appears to be a means of establishing a supranational political sphere for the territories of the Habsburg Monarchy, which became known as Monarchia Austriaca.